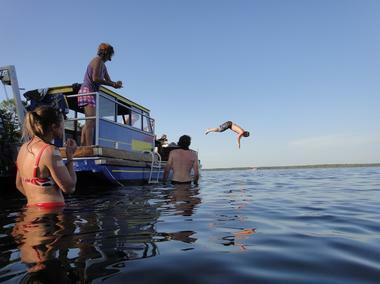 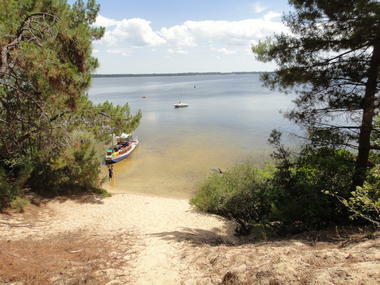 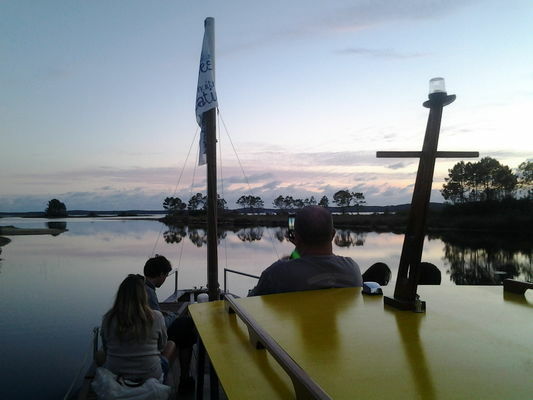 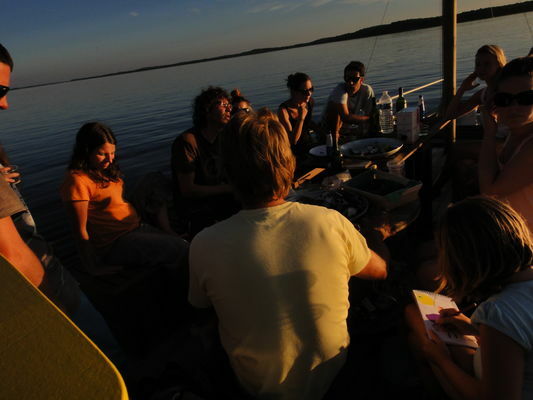 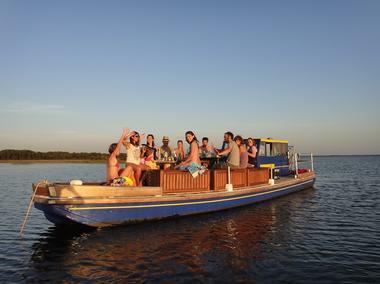 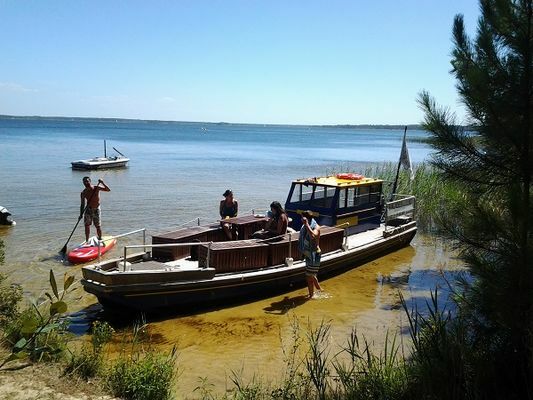 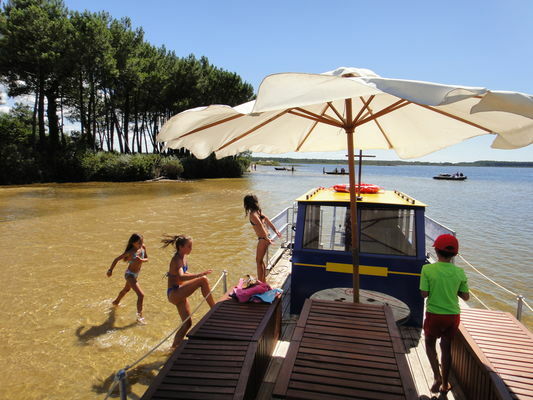 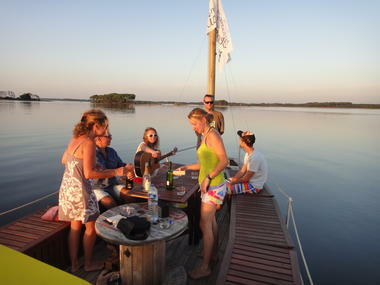 Climb aboard an authentic oyster flat, to discover with family or friends, the beautiful Lake of Lacanau, safe and friendly! 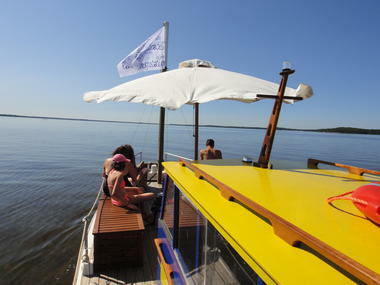 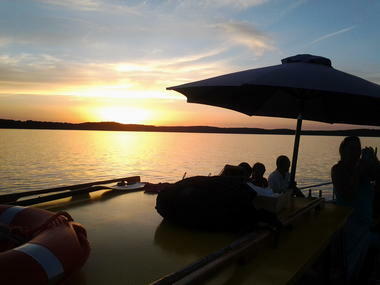 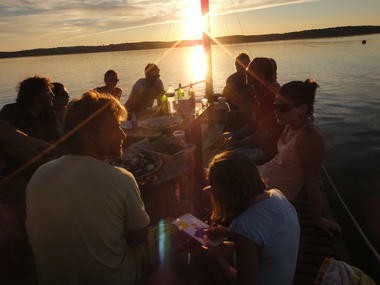 Aboard the Chaland sail on a floating terrace to discover the most beautiful corners of the Lake ... 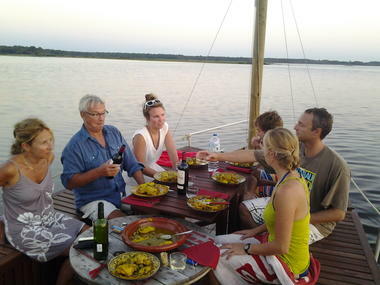 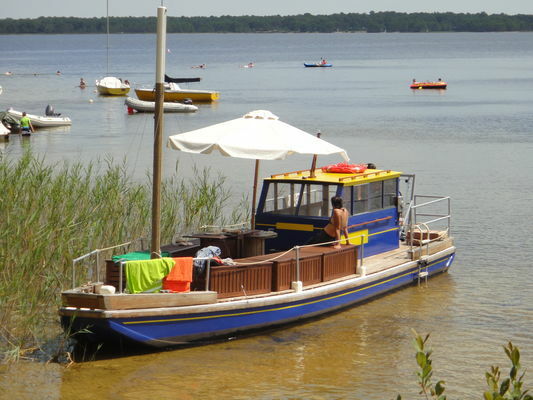 This flat-bottomed boat of 9.50 m, very stable and quiet, offers access to wild corners and secret beaches of Lake and taste oysters, tapas, a tagine ... for an aperitif or an unforgettable meal at sunset, with the most beautiful panoramic view of the lake! This barge converted into a pleasure is also equipped for relaxation and swimming: parasol, bathing ladder, music ... According to your wishes, it is also possible to bring you what you eat and quench your thirst. 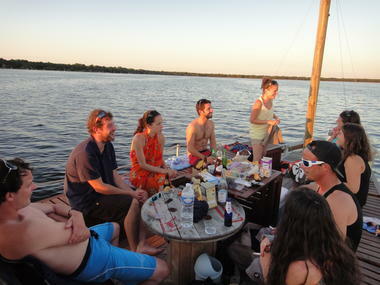 Groups, everything is possible: birthday, bachelor party, event, output cohesion, entertainment leisure center ... Come to the meeting of Benoît that will make you live an Océanesque moment!